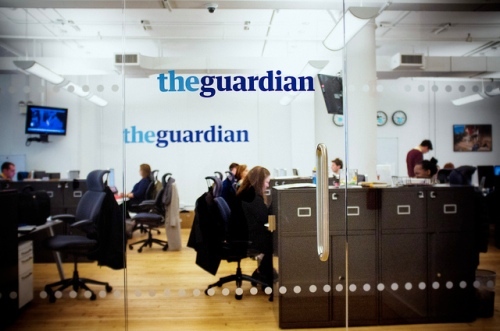 Did the Guardian comply with an “official direction” under the Official Secrets Act? I’m interested in some of the precise language used by Rusbridger in these passages. He says the official demanded something – he did not make a request. And what was demanded was the return or destruction of material. Later, he uses the words handover or destruction. And of course it’s clear that the official threatens forcing the surrender of the material in court. This language makes me wonder whether the Guardian was facing an “official direction” for the return or disposal of the material under section 8(5) of the Official Secrets Act 1989. Documents leaked by Edward Snowden about the work of GCHQ must I think fall within the scope of section 6(1), having presumably been communicated in confidence by the UK intelligence agencies to another state, the US, and having come into the Guardian’s possession without US authority. Where a person has in his possession or under his control any document or other article which it would be an offence under section 6 above for him to disclose without lawful authority, he is guilty of an offence if he fails to comply with an official direction for its return or disposal. There’s no explicit requirement that the direction be given in writing although, if I were a lawyer prosecuting Alan Rusbridger for failing to comply, I’d want there to be clear evidence of his having received the direction, so I’d want a document to exist. Note that the statutory term “direction” is arguably reflected in Rusbridger’s use of the word demand, and that the statutory phrase “return or disposal” may be reflected in Alan Rusbridger’s return or destruction and handover or destruction. If an official direction were made at one of the first “two meetings” mentioned by Alan Rusbridger, but compliance did not immediately follow, then the government might well contemplate court action. There could be criminal proceedings against him, or, more likely, the government might seek an injunction to compel return or disposal and to restrain further publication. This was presumably the prior restraint Rusbridger mentioned in the passage I quoted earlier as being threatened at one of the “further meetings”. When he was replying to commenters last night I asked Alan Rusbridger whether the Guardian had received an official direction under the Official Secrets Act. But he didn’t reply, I’m afraid. Rusbridger defended his decision to agree to the destruction of the hard drives on Channel 4 News last night – and I think made a good case under pressure from Jackie Long. Applying to court would have been a high-risk move for the government. But it would have involved real risk for the Guardian, too, particularly, as he implies in the interview, the risk of being restrained from publication or having to give undertakings on an interim basis while the case was argued. By taking the less dramatic of the options open to him, Rusbridger has preserved his paper’s ability to publish without immediate constraint – and it may well end up being able to publish more than if he’d taken the other route. His decision seems to me fully justified. Previous post: Could David Miranda be a “terrorist”?